Have you ever dreamt of seeing where "Say Yes to the Dress" is filmed and to see beautiful bridal gowns come down the runway a season before they hit the stores? Have you considered a career in styling or public relations? Would you love to go shopping and see some of the amazing stores in Soho? If you answered "yes" to any of these questions then you will be happy to know that Banson NYC is excited to offer our first ever NYC Bridal Week Adventure in October. 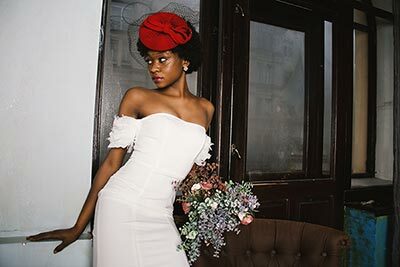 It is designed to give high school and college students a chance to experience bridal week in NYC by themselves, with their friends or with a relative (parents, grandmothers and aunts are welcome!) The program will be 5-days long with at least two of those days being focused on bridal fashion shows and all that goes into the execution of these fabulous events. Students will stay in a deluxe hotel in midtown with their friends/relatives or they will be matched up with other participants of the program. The program will be 5-days long with at least two of those days being focused on bridal fashion shows and all that goes into the execution of these fabulous events. Students will stay in a deluxe hotel in midtown with their friends/relatives or they will be matched up with other participants of the program. Our program begins at noon on Thursday, April 11th and ends on Monday, April 15th at 2:00 pm. We accept applications on a first come, first served basis with a maximum of 20 participants accepted. Please complete the NYC Bridal Week Application or simply contact Banson NYC at (917) 328-1469 or hollandg@bansonnyc.org for more information. Will you be attending with a friend? If so, what is your friends name? What type of hotel room accommodation do you prefer? Why do you want to attend the Banson NYC Bridal Week Adventure? How did you hear about Banson NYC?